Portier offers complete solutions for parking guidance and management. Core of the Portier parking solutions is dynamic parking guidance systems that offer convenience of parking for customers as well as effective parking management for the operators. Some examples of the solutions include space-specific guidance systems with ultrasonic or camera-based detection, dynamic displays connected to third party systems, induction loop counting for open areas, roadside guidance displays and access control solutions for contract parking. Portier is built on a completely new type of parking management platform, Portier HOST, that is a highly flexible and cost-efficient solution utilizing IoT-technology and offering comprehensive parking management beyond guidance. Portier will help your customers to have a better impression of your services which will lead into increased capacity utilization, customer loyalty and ultimately increased revenues. Portier is a brand of FLS Finland. Private entrepreneurs in Finland with a vision to use LEDs for making business visible. 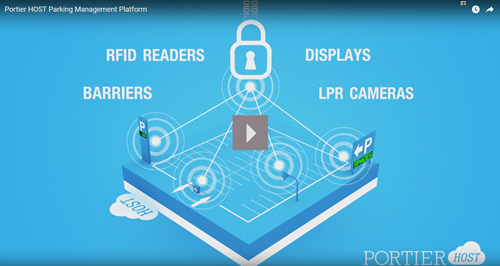 Portier product family provides intelligent solutions for parking guidance and management. In the simplistic case, system contains a single display that handles the calculation and shows the status of the area. The other extreme can be a city-wide parking guidance solution covering large number of parking areas that are geographically dispersed and may contain a mix of different parking infrastructures and third party systems. With our novel Portier HOST platform, we also offer highly flexible and cost-effective solutions for parking management. Portier brand promise Making the right decisions! speaks to multiple shareholders around parking. It helps the driving customers from the moment they decide to start their journey and guides them all the way to their destination. On the other hand, Portier also aids operators and facility managers selecting the most suitable parking solution for their business needs. Remember: Even parking can be convenient, pleasant and have a touch of luxury! Portier HOST is a globally unique parking guidance and management platform that is designed to represent the future of parking technology that is moving from traditional barriers and payment terminals towards an increasingly mobile world. 20/11 T1 Mall of Tallinn Opens ! 09/11 Portier Elevates Parking Guidance to the Clouds! 02/07 Portier Vision Extremely Well Received by SeiPark! 12/03 FLS Launches Portier VISION - The Most Advanced Camera-Based Guidance System on the Market! 17/11 Brand New K-Supermarket Hertta is Here! 14/11 Portier HOST wins the 2016 Gulf Traffic Award!